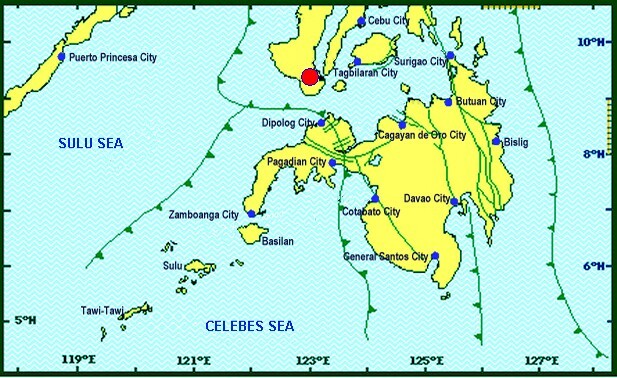 MANILA — A 4.7 magnitude earthquake rocked Negros Oriental, Sunday afternoon, Dec. 9 the Philippine Institute of Volcanology and Seismology (Phivolcs) said. Intensity 4 was felt in Pamplona, Bayawan City and Santa Catalina, Negros Oriental and Intensity III was felt in Sibulan, Negros Oriental while Intensity I was felt in Dumaguete City. Meanwhile, instrumental intensity 3 and 1 was monitored in Sibulan, Negros Oriental and La Carlota City, respectively. Instrumental intensities are not necessarily felt, according to Phivolcs. It was initially reported the quake’s strength at magnitude 4.5 but it was later upgraded to magnitude 4.7. Tremor is not expected to create aftershocks or cause damage to structures.